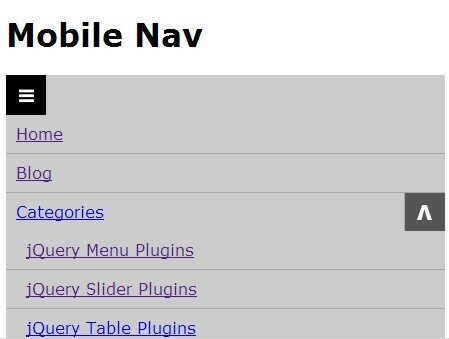 All the Free jQuery Plugins about 'Navigation' are listed here. 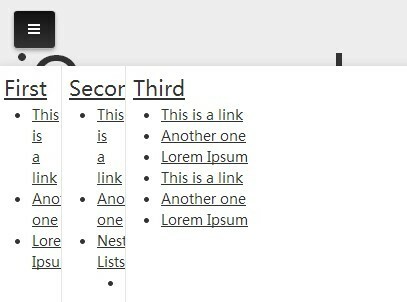 A jQuery based breadcrumbs generator used to create an user-friendly breadcrumb navigation from a nested list based sitemap. Single Page Nav is a lightweight jQuery plugin for creating navigation links that allow to smoothly scroll to desired sections of your page. Lava-Lamp is a lightweight jQuery plugin that allows you to create a div that animates when you mouse over sibling elements. 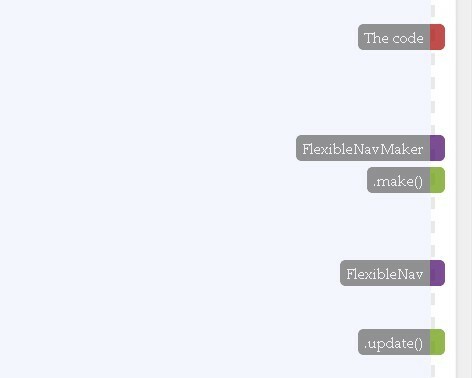 Bootsnav uses jQuery, Animate.css and Bootstrap's style to create animated, responsive, various types of header navigation for your Bootstrap project. 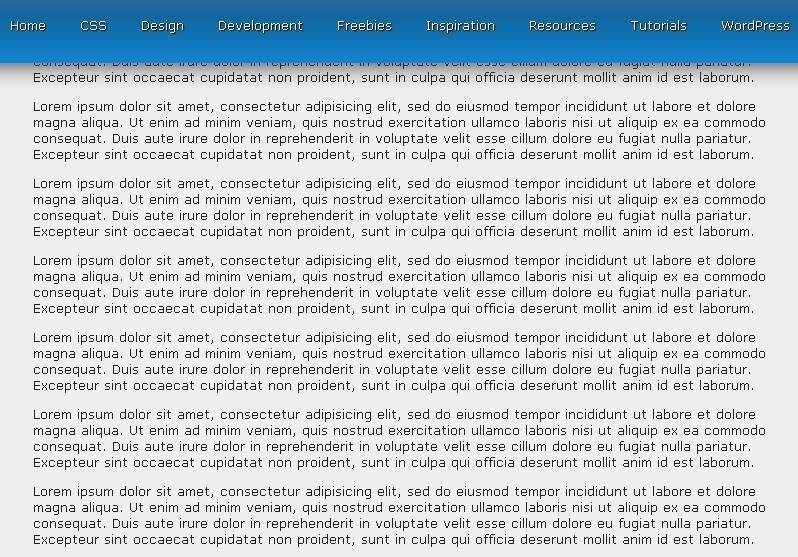 booNavigation is a lightweight jQuery dropdown menu plugin that provides a simple way to create a three-column mega menu with CSS3 based sliding effects for your website navigation. visualNav is a jQuery plugin that allows you to create a sticky horizontal or vertical navigation menu which is able to highlight both the currently viewed content & other content in view when scrolling down. A cool touch-enabled navigation concept to create a corner menu that slides out with a subtle transition effect, depended on jQuery, touchSwipe, CSS3 transitions & transforms. A dynamic full page navigation inspired by Android Lollipop UI that gets colored dynamically with a tinted background-color of each following section. A short tutorial about creating a smooth, multi-level, pull down navigation menu from a nested nav list. spotter.js is a flexible, cross-device jQuery plugin which automatically updates the CSS active state of matched menu when the user scrolls the page to a certain content. fullnav.js is a lightweight jQuery plugin to create a customizable modal-style navigation with a full page overlay covering the entire screen. 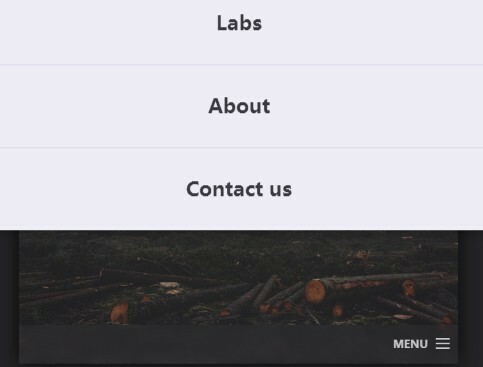 jPanelMenu is a clean and modern jQuery menu that helps to create a Paneled-Style Navigation with CSS3 transitions anitmations for your web application or website. Hidescroll.js is a tiny jQuery plugin which allows to hide the top navigation bar as you scroll down, however when you scroll up it would show it self again. A responsive & fullscreen navigation system inspired by Mic.com that allows you to navigate through different categories with a subtle CSS3 transition effect. A jQuery & CSS3 based smart fixed navigation that shows a menu link at the bottom of the web page as you scroll down the page. Just another Mobile app-style side navigation menu that is sticky at the left side of your web page and pushes the main content section to the right with a full overlay. ShiftyNav is a jQuery plugin inspired by the Android apps that make it easy to create tabbed navigation/slider with simple animation effects. Focucss is a jQuery plugin to create an off-canvas sidebar navigation with a cool blurring effect, that will focus your users on your sidebar content, and blurring the useless content. 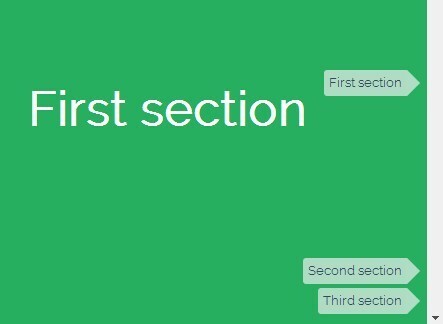 Yet another jQuery plugin to create a fully responsive & animated sliding side navigation with sub-navigation using jQuery and CSS3. This is a simple jQuery script for creating a navigation bar with blurred background that allows you to open a full page animated navigation menu with CSS3 transitions and transforms. 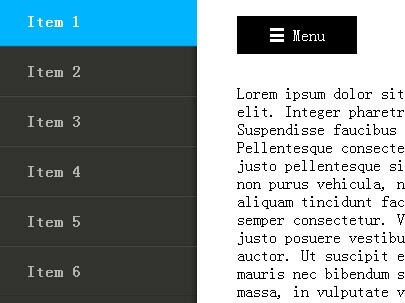 rocker is a jQuery plugin for creating a responsive, mobile-friendly multi-column navigation menu sliding from the bottom of the web page. Menu Bar Animation is a jQuery plugin for creating a toggle button to reveal the hidden sidebar and footer with subtle CSS3 animations. mobilize is a jQuery navigation menu plugin optimized for mobile that automatically hides overflowing menu items and shows them under "more" button on small screen devices. Full Page Menu is a jQuery navigation plugin that displays a responsive, animated menu with CSS3 transitions in a fullpage lightbox-style interface. 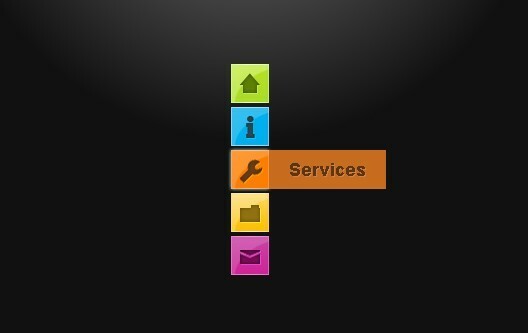 A super simple jQuery script to create an Off-canvas sidebar menu for navigation. The navigation will slide out from the left side of the page with a smooth CSS3 transition effect once you click the toggle button. iosmenu is a jQuery plugin for quickly creating a mobile App-style sidebar toggle, push, overlaying navigation menu into your web page. 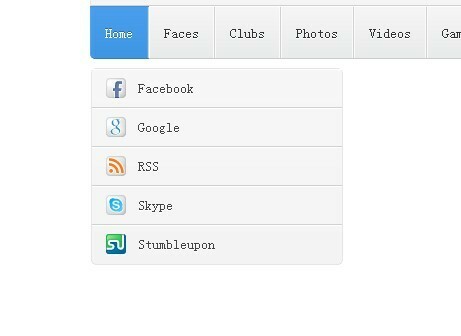 Yet another mobile-style navigation drawer plugin for easily implement an off screen sliding menu into your website. Just another jQuery mobile menu plugin that turns a horizontal multi-level navigation into a mobile friendly toggle menu on small screen devices. Stripes is a jQuery based animated drawer navigation plugin that dynamically loads multi-level data from JSON data files. 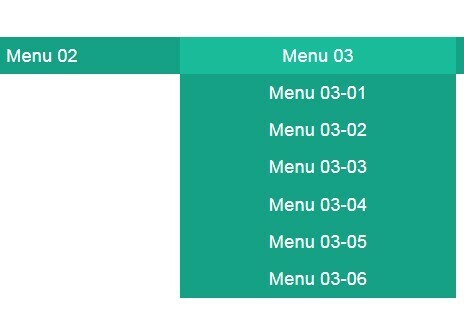 responsive-menu.js is a lite jQuery menu plugin for converting a normal multi-level navigation into a sliding toggle menu if the screen width is below 768px. Off Canvas Menu is a lightweight jQuery plugin that converts a standard ul li based menu to a responsive off canvas sidebar navigation for small screen devices. cbFlyout is a mobile-first jQuery off-canvas navigation plugin that creates a responsive multi-level sidebar menu using CSS3 transitions and transforms. Xeo Menu is a minimalist jQuery plugin for creating an animated sidebar navigation that slides out from the edge of your page when mouse hover. rCrumbs is an useful and easy-to-use jQuery plugin for creating a responsive breadcrumbs that automatically resizes your breadcrumbs with a smooth animation to fit your browser window. tablenav is a lite yet useful jQuery plugin that allows the user to use arrow keys to navigate the cells in the Html table with input fields in an Excel-like way. 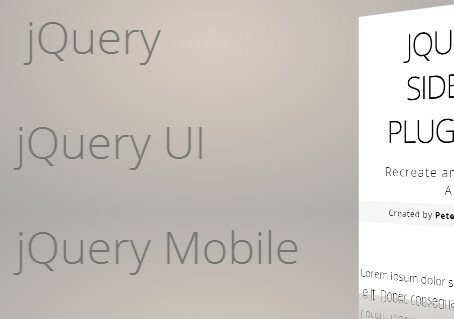 Just another jQuery mobile plugin that creates a multi-level toggle menu on mobile device or a responsive multi-level dropdown navigation on desktop. 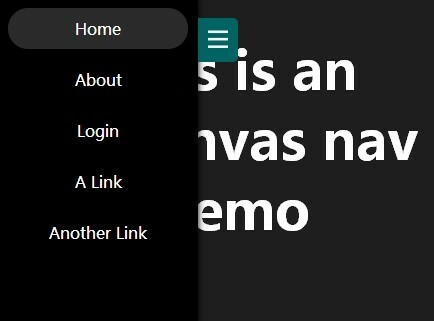 Form5 Offcanvas is another jQuery side menu plugin for creating an off-canvas sidebar navigation that is positioned outside of the viewport and slides in when clicking the toggle button. 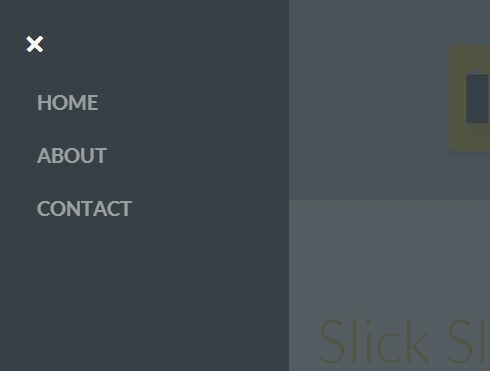 StickyChimp is a simple jQuery plugin inspired by Mailchimp.com for creating a smart & animated navigation menu that stays at the top of your web page. Sidebar is a jQuery plugin for creating a side navigation menu that slides out from the left side of your page when clicking the toggle button. 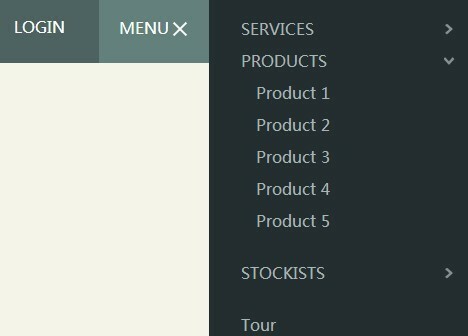 Droplist is a jQuery plugin that converts an ul, li based breadcrumbs navigation into a dropdown list to preserve horizontal space. Pushy is a super tiny (~1kb) jQuery plugin for creating an off-canvas slide panel navigation as you've seen in many mobile Apps. Just another jQuery responsive menu plugin that transforms the horizontal & multi-level navigation menu into a toggleable dropdown menu on mobile devices. 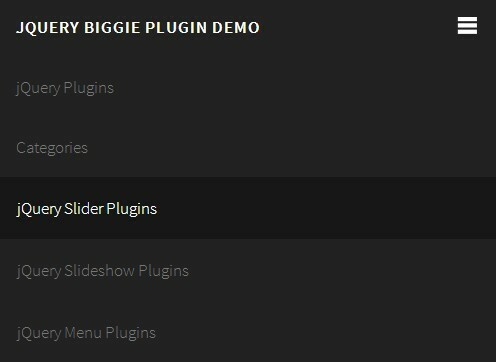 Biggie is a jQuery menu plugin that converts a horizontal navigation menu into a mobile-friendly drop down toggle menu while the page size has reached the CSS3 Media Queries Break Points. 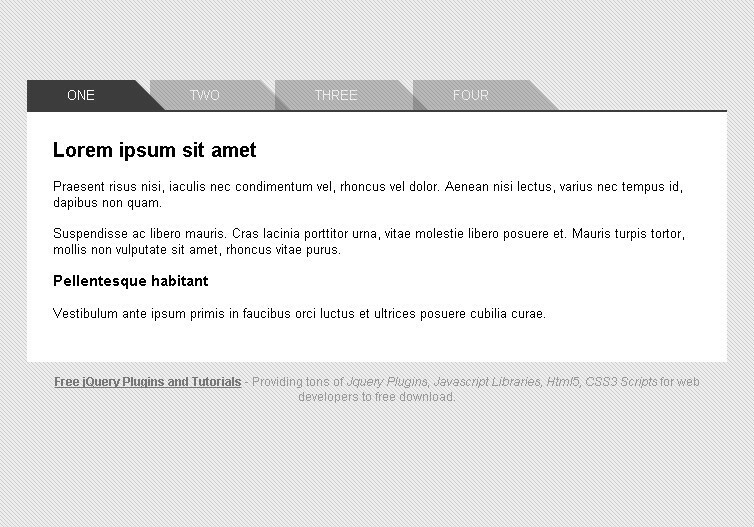 A jQuery based off-canvas navigation menu with subtle CSS3 transitions. When clicking the toggle button, a side menu will slide out from the edge of the page and push the main content to the right. 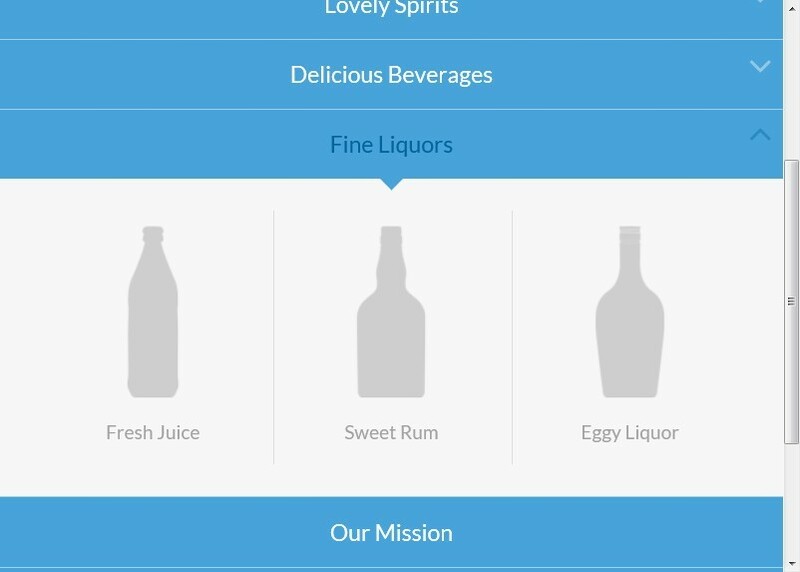 Mobile Navigation is a simple, responsive and mobile first jQuery menu plugin that converts a multi-level menu into a collapsible drop down navigation menu at mobile devices. Fly Side Menu is a cool menu plugin that makes use of CSS3 to create a side menu navigation with 3D transforms and transitions, similar to the new Airbnb App navigation resigned for iOS 7.
fullpagenav is an amazing jQuery plugin that turns an unordered list into a responsive and dynamic full page navigation with smooth transition animations. 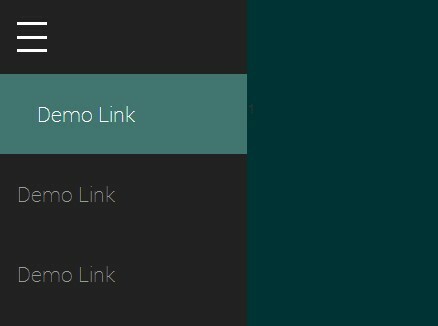 jumpto is a jQuery plugin for automatically generating a 'Jump To' navigation menu based on heading tags that allow the user to scroll to any html content with a smooth scrolling effect. 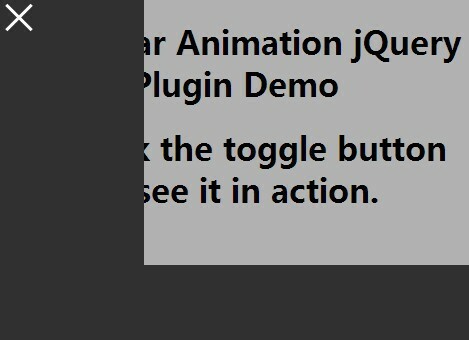 stickUp is yet another jQuery plugin that makes your navigation menu sticky at the top of your page when scrolling down the window. Anchorific.js is a lightweight jQuery plugin for generating anchored headings and automatically creating anchor-based nested navigations. A little similar to the table of contents in document. 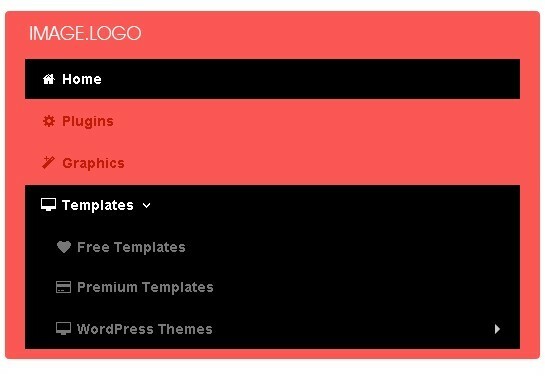 doubletaptogo is a tiny jQuery plugin that provides a simple way create a responsive and touch-friendly drop down navigation menu on your web page & App. 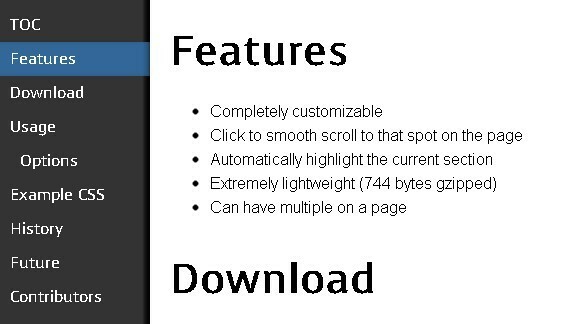 Fluid Content Scroller is a jQuery plugin which makes navigation through long item lists like news, events, blog posts, etc. smooth and easy. 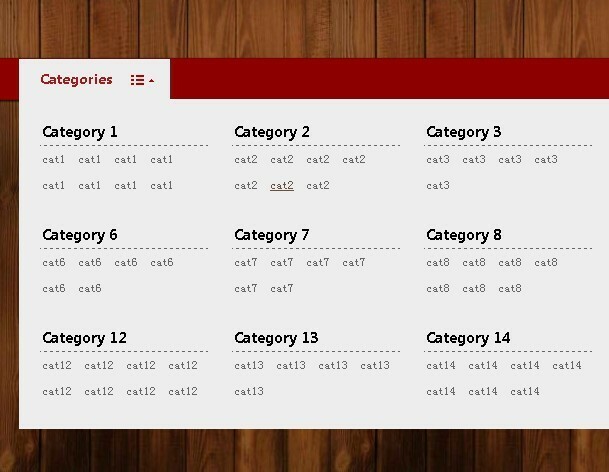 Menutron is a lightweight and mobile-friendly jQuery plugin that automatically transforms your navigation menus from a list to a select drop down list as the size of the window changed. 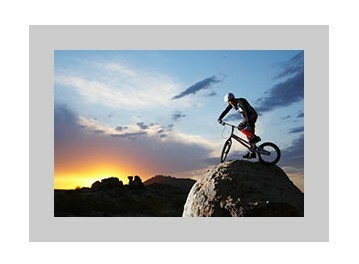 ion.zoom is a lightweight and touch-friendly jQuery plugin for adding image lightbox effects to your gallery. 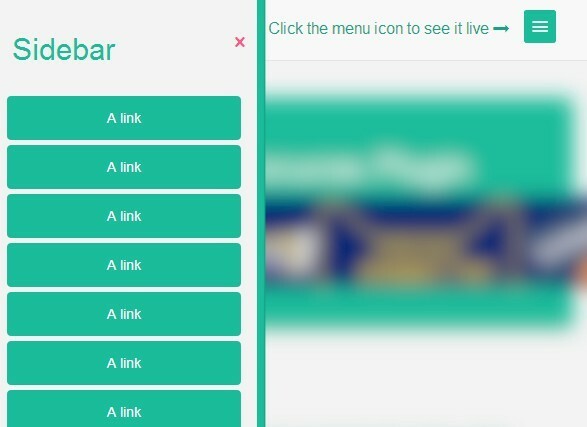 simpleTab is a lightweight and simple jQuery plugin that allows you to quickly create tab-based navigation, menu and slider on your website. 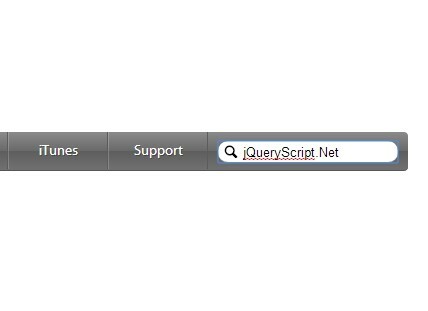 A jQuery plugin provides a navigation between date range, either by a defined range (week, month and year). 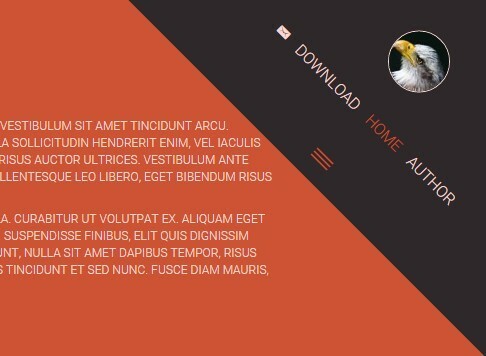 sMagicline is a simple and lightweight jQuery plugin that allows you create a navigation menu with animated sliding lines. Just Enjoy It! 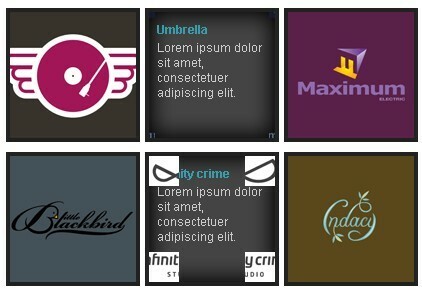 nagging-menu is a jQuery plugin that allows you to create a floating and fixed position top menu bar on your webpage. 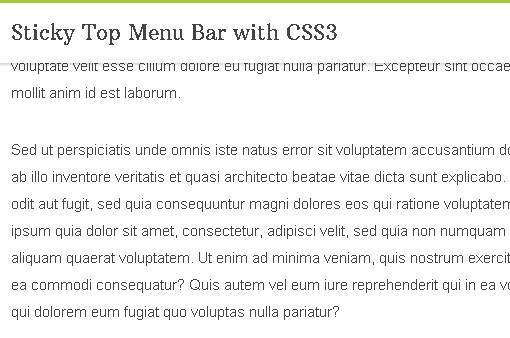 In this tutorial, we will create a sticky top menu bar which is built only with CSS position property, without jQuery or any other script. 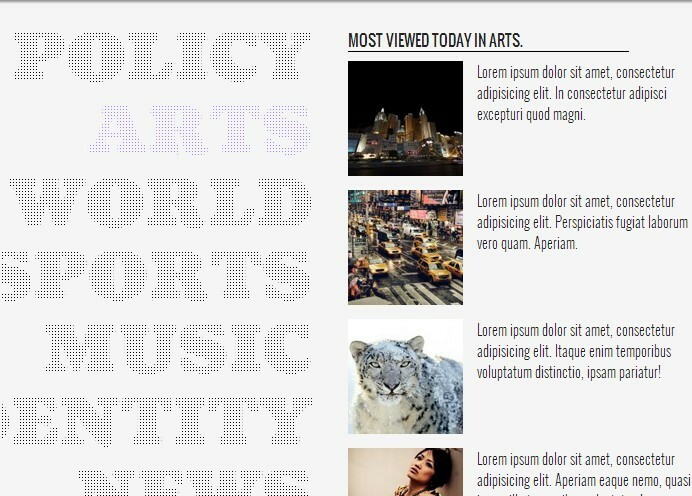 tNews is a jQuery plugin that helps you add a sliding content bar to your web page. A jQuery Navigation Plugin imitating google play's design that makes it easy to create a clean and simple tabbed navigation for your projects. 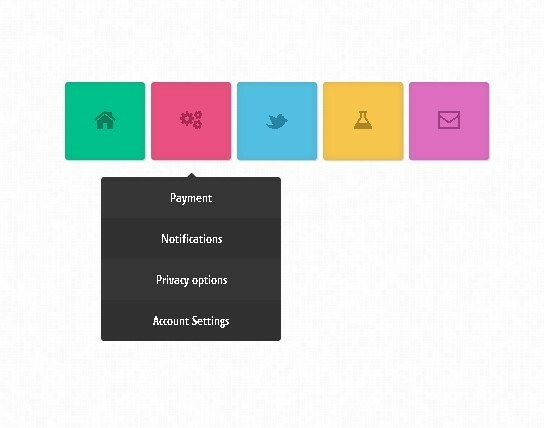 tmailsilder is a jQuery Plugin that helps you create a pretty Navigation Menu with smooth animation effect. 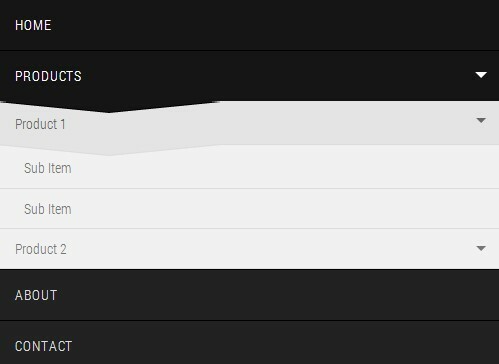 A Neat and modern Dropdown Menu built only with CSS3 that helps you create a nice dropdownn Navigation menu with animation effects for your website header section. 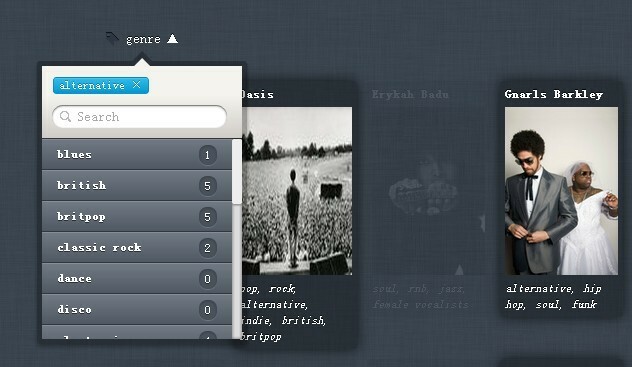 A jQuery Menu Plugin for creating Responsive, Multi-Level and Dropdown Navigation Menu on your webpage. 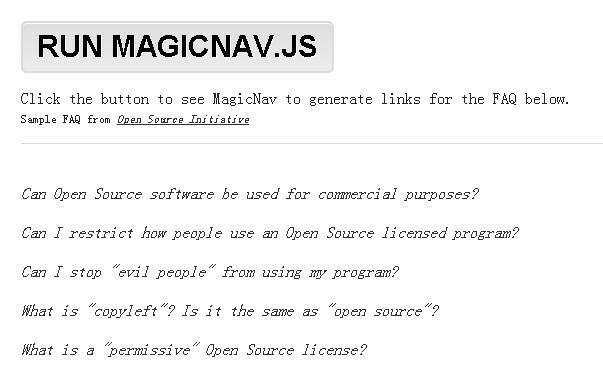 MagicNav is a jQuery Navigation Plugin that helps you create a quick navigation for your FAQ page. 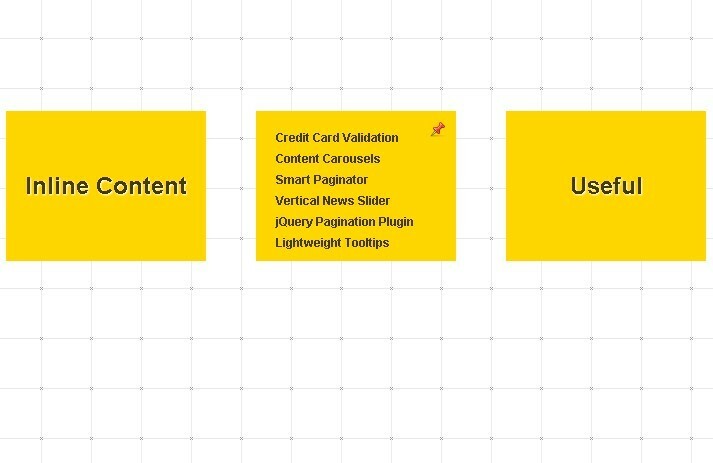 You can use thit plugin to easily generate links from any element on your page. 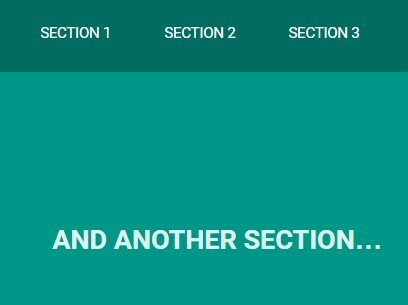 TOC is a completely customizable jQuery plugin that allows you to generate a table of contents for your page. It is highly customizable and is able to automatically highlight a current section of the document. A jQuery One Page Navigation Plugin that adds smooth scrolling and smart navigation when user scrolls on one-page sites. 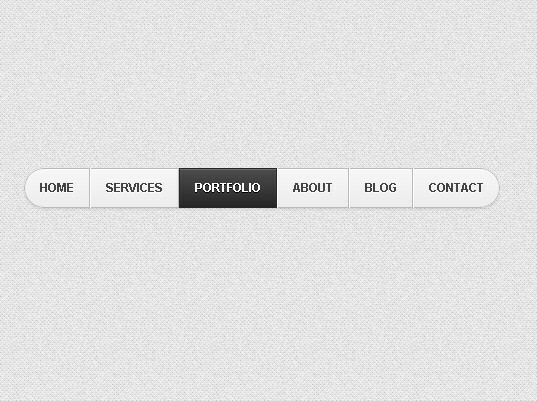 This jQuery Plugin can be used to create awesome Navigation Boxes with Stunning Sliding Door Effect on your webpage. Windy is a cool jQuery Plugin that makes it easy to create amazing Swift Content Navigation by leafing through it. 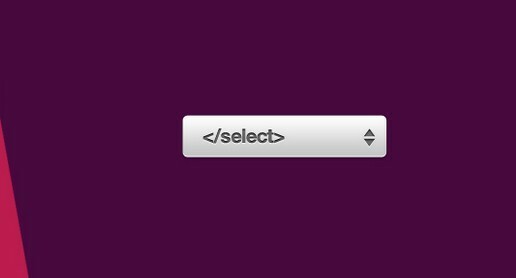 A Colorful Animated Dropdown Navigation Menu built only with CSS3 and HTML5. BoxyMenu is a Fast and Simple Links Box Navigation Menu Plugin that renders smoothly in all major web browsers. An extraordinary Jquery gallery plugin with scrollable thumbnails that slide out from a navigation.